Prefer Pets Backpack Carrier Checkerboard | On Sale and Free Pads! New in the store - fresh and stylish airline-compliant pet carrier for your dog or cat. The Prefer Pets Backpack Carrier allows you to take your smaller pets with you safe and secure wherever you go. Being soft-sided it is able to be used on a majority of airlines. This carrier features water-resistant canvas fabric in a contemporary pattern for traveling in style. The convertible carrier can be used to be used as a backpack, shoulder bag, or just a handbag using the two removable straps and top carrying handle. Ample ventilation is abundant with four sides of the carrier having a thick plastic mesh. One side of the carrier has a flap which can opened or closed. A faux-fur, machine-washable floor mat keeps the carrier upright from the base and the two convertible (and detachable!) shoulder straps are padded for your comfort. A zippered side panel allows for your pet’s easy entry and exit. Airline approved for in-cabin travel for most airlines. For your pet's comfort and safety and to conform to commercial airline regulations if flying, your pet should be able to stand up and turn around in its carrier. 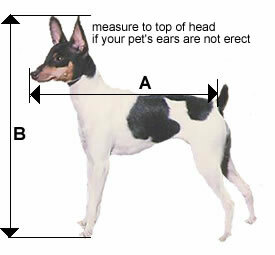 Measure your pet carefully before ordering by using the chart below. Wing qualified to compete at the AKC Rally National Championship in Wilmington, Ohio. We flew from California and she traveled at my feet in her new carrier. I had called the Pet Travel Store to ask some questions about size and was quite impressed by the help I received.